Ahhhh!! 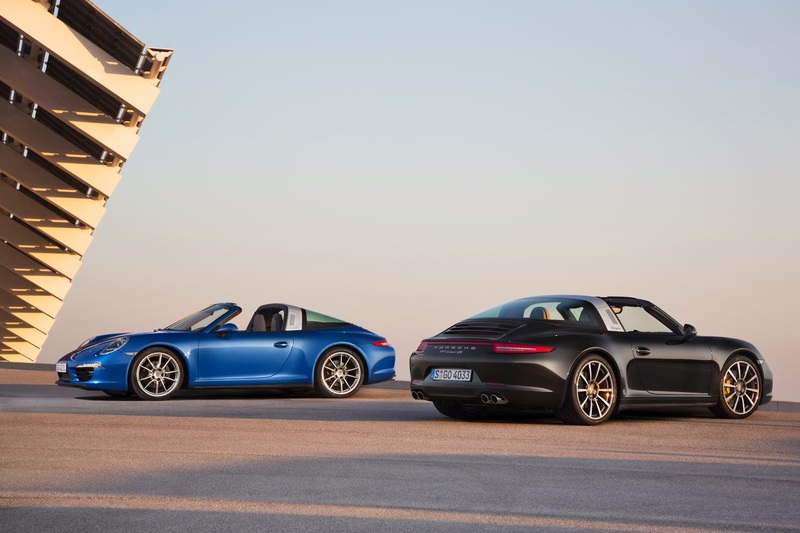 The true Porsche Targa is back!! The Porsche Targa is one of my top two favorite Porsches ever. 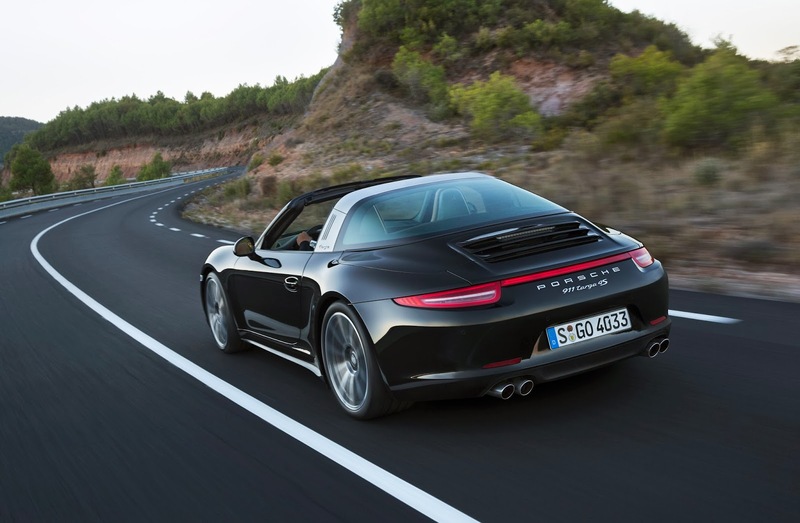 The Targa has a rear windshield that connects the B and C pillars leaving the option to retract (or in the original Targa's, remove) the roof for your hair to blow in the wind, giving you the unprecedented Porsche experience. Up until recently, the 997 and 998 Targa's have really just been a Carrera with a large sunroof. It never felt like a true Targa, until now. Communication Porsche AG: "This model is the first to combine the classic Targa concept with state-of-the-art roof technology. Just like the legendary original Targa model, the new model features the characteristic wide bar in place of the B-pillars, a movable roof section above the front seats and a wraparound rear window with no C-pillar. 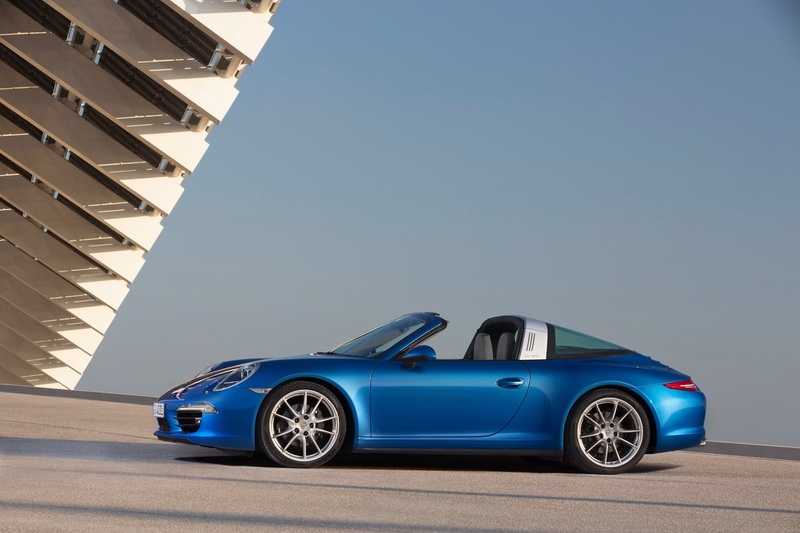 But unlike the classic models, the roof segment on the new Targa can be opened and closed at the push of a button. When the button is actuated, the fully automatic roof system stows the convertible top behind the rear seat system, providing a real spectacle. The rear-weighted design of the PTM all-wheel drive fitted as standard is a typical Porsche feature, and guarantees that this latest 911 model also offers optimum driving dynamics on all road surfaces and in all weather conditions." You are going to freak out when you watch this video of the roof retracting into the back of the car.